Raduan Nassar was 48 and at the height of his literary fame when, in 1984, he announced his retirement. He wanted to become a farmer. I liked a recent article in the New Yorker about a Brazilian who left the writing life to become a farmer. Did literary perfectionism stress him out too much, or did farming just seem more real? Alejandro Chacoff has the story. “In 1973, the Brazilian writer Raduan Nassar quit his job. After six years as editor-in-chief at the Jornal do Bairro, an influential left-wing newspaper that opposed Brazil’s military regime, [he left] and spent a year in his São Paulo apartment, working twelve hours a day on a book, ‘crying the whole time.’ In ‘Ancient Tillage,’ the strange, short novel he wrote, a young man flees his rural home and family, only to return, chastened and a little humiliated, to the place of his childhood. 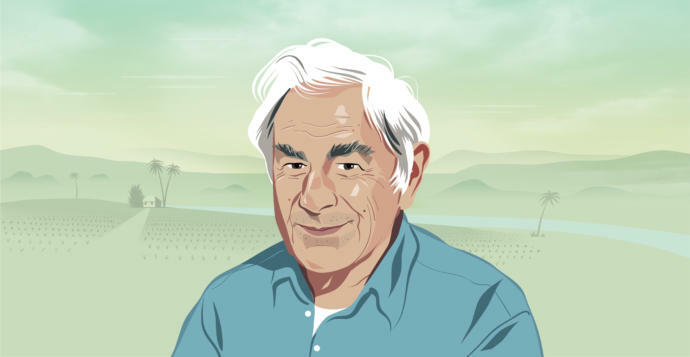 “Nassar said that farming had always been his main occupation, whereas writing had ‘just been another activity.’ But his life in agriculture did not begin smoothly. “Both [Luiz Schwarcz, the editor-in-chief of Companhia das Letras, the country’s main publishing house,] and [Antonio Fernando de Franceschi, a poet and critic who became a close friend of Nassar’s,] believe that Nassar’s decision to quit came not from a waning of interest but from literary perfectionism. ‘He’s a guy who devotes himself so much to the craft that I think it’s hard for him to feel rewarded,’ Schwarcz said.” More here. I intend to track down his books. So, actually, he was an artist first and only did gardening to support himself as immigrant with no connections. Los Angeles Times reporter Carolina A. Miranda wrote about him in July, around the time of the “Made in L.A.” biennial at the Hammer Museum. She says, “When artist Kenzi Shiokava received a telephone call from a pair of curators organizing [the biennial], he says he had little clue of the meteoric effect it would have on his life. “But as he does with anyone who is interested in seeing his work, he invited the curators — Hamza Walker and Aram Moshayedi — to his studio so that they could have a look at his totemic wood sculptures, junk-art assemblages and curiosity boxes featuring orderly, patterned displays of old toys, plastic fruit and discarded religious ephemera. “[Walker] says that from the moment he and Moshayedi stepped into Shiokava’s studio, early in 2015, they were sure that this was an artist they wanted to include in the show. Read about the artist’s early life as a Japanese immigrant in Brazil, how he ended up in LA, and how he began to develop his art while working as a gardener for Marlon Brando and others (here). Kenzi Shiokava in his studio. The concept of paying it forward has been flourishing in Naples, at least with regard to buying a cup of coffee for someone who can’t afford one. “The suspended coffee is a Neapolitan tradition that boomed during World War II and has found a revival in recent years during hard economic times. 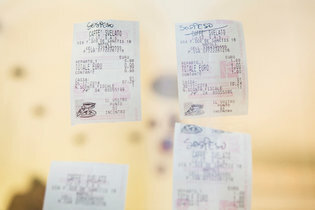 Receipts are left to be claimed by those who are unable to afford a cup of coffee. We watched Only When I Dance on Netflix last weekend, and afterward my husband did a Google search on the dancer who won the awards. 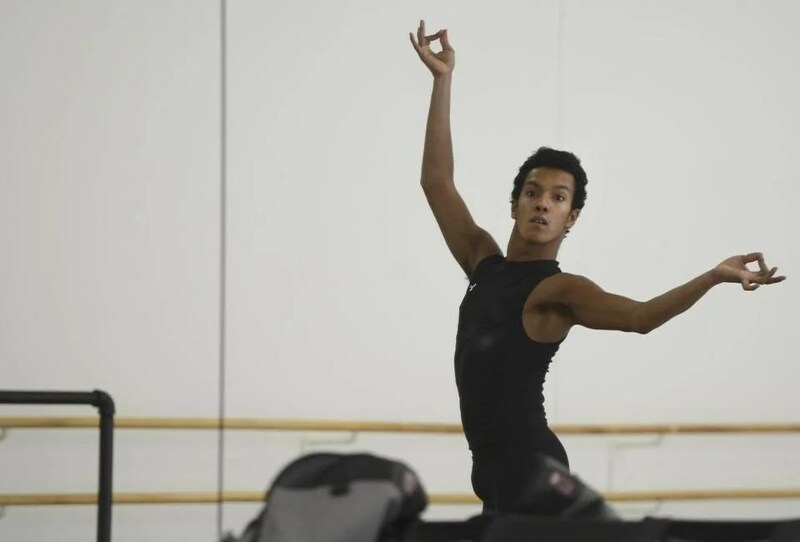 Dancer Irlan Silva ended up at the Boston Ballet. “Silva’s interest in ballet developed when he attended a professional performance at the age of 10. ‘I was hooked immediately,’ he says. “He says his natural flexibility and leaping ability carried him until he was able to receive formal training, but not every flexible would-be dancer in Brazil was able to land a spot in Centro de Dança Rio, the nation’s premier ballet school. “His father … Irenildo Santos, a factory worker in Rio, said through an interpreter in a recent phone interview that his son’s dancing ability was what convinced him that ballet was a worthwhile pursuit. “ ‘We live in a very tough community. It can be very dangerous. There is crime. And there are even people who wish to harm you if you don’t behave in a certain way or fit a certain mold. … But when I saw him dance the first time, I was very moved. And now I am his fan. I am his biggest fan.’ ” Read more. Today I want to highlight Taylor Barnes’s story in the Christian Science Monitor about the transformative effect of volleyball among poor Brazilian children. OK. Got that off my chest. Back to Brazil. “Roberto Bosch’s volleyball school was getting nowhere,” writes Barnes. “Then he invited kids from the slums to join for free. “The gangly [Bosch] joined his first volleyball club at age 12; before he was old enough to drive, he was already under contract and being paid for playing the sport. In college, Betinho, as he is known [in Rio], dropped out of his classes in economics to travel with a professional team. When he competed in the youth world championships in Italy at age 20, he was considered the best player on earth. “His wife suggested he start his own volleyball school. ” ‘Given that I was really depressed, really low at the time, I didn’t think I was capable’ of running a school,’ he says. Still, he set up a volleyball court on Rio de Janeiro’s glamorous, celebrity-studded Leblon Beach. Students from the favelas and shantytowns jumped at the chance. As the school’s reputation grew, wealthy children signed up, too. Volleyball became the great leveler in Rio. And Betinho found a purpose in life, better than the first. Roberto Bosch teaches beach volleyball on Leblon Beach in Rio de Janeiro. His students come from both local slums and wealthy neighborhoods.